HARTFORD, Conn. (AP) — Supporters of a Connecticut woman who was detained for deportation to England this week rallied on her behalf Wednesday, as a state pardon for her criminal convictions that was approved two months ago finally took effect. Advocates for 34-year-old Wayzaro Walton protested outside the federal courthouse in Hartford, where Immigration and Customs Enforcement has an office. Walton’s family brought her to the U.S. in the 1980s when she was 4 years old, and her mother obtained legal permanent resident status for her, said her lawyer, Erin O’Neil-Baker. 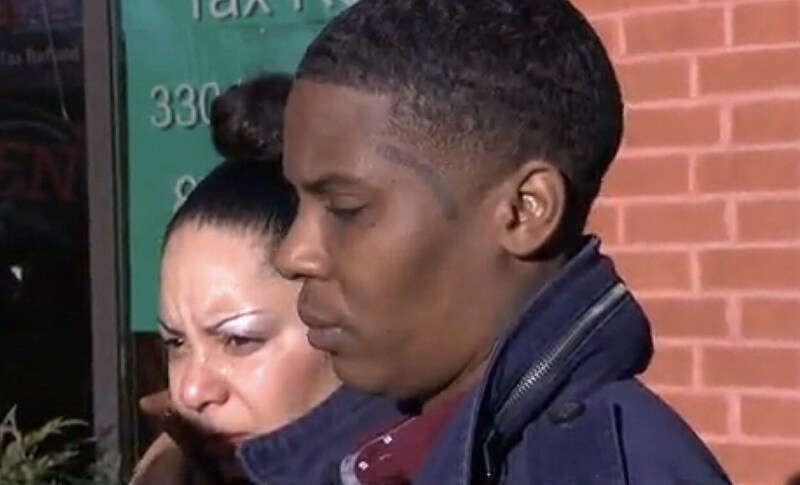 She and Ferguson, who is a U.S. citizen, have a 15-year-old daughter and live in Hartford. A full pardon approved by the state Board of Pardons and Paroles in January took effect Wednesday, erasing one felony larceny conviction from 2006 and several misdemeanor convictions. The larceny charge was related to a shoplifting incident, O’Neil-Baker said. O’Neil-Baker said she would be filing new court papers Wednesday seeking an emergency stay of the deportation order. Walton was taken into custody Tuesday while checking in at a private agency in Hartford that works with ICE in monitoring immigrants. She was brought to Massachusetts for detention and deportation. It’s not clear when the deportation would occur. Federal officials have indicated that they are not recognizing the pardon because it wasn’t issued by the governor, O’Neil-Baker said. Connecticut is the only state where its parole board, and not the governor, approves pardons. An ICE spokesman declined to comment on the pardon Wednesday. Walton has been checking in regularly with immigration officials for years, has not violated any immigration rules and has been wearing a monitoring device, O’Neil-Baker said.